All women take care of their appearance. They pay much attention to their skin, hair, and body. A great number of various procedures, home remedies, and other things are used to help us get desirable results. Modern women do everything possible to get a perfect body. They eat healthy foods and perform physical exercises regularly. Yes, these methods are really helpful when it comes to weight loss and healthy weight. However, there are some problems that can affect women even if they lead a healthy lifestyle. Sagging breasts are one of these issues. It’s a nightmare of every woman. It makes us feel unattractive and unconfident. That’s why it is necessary to prevent this problem. Today, we have decided to help you s little. 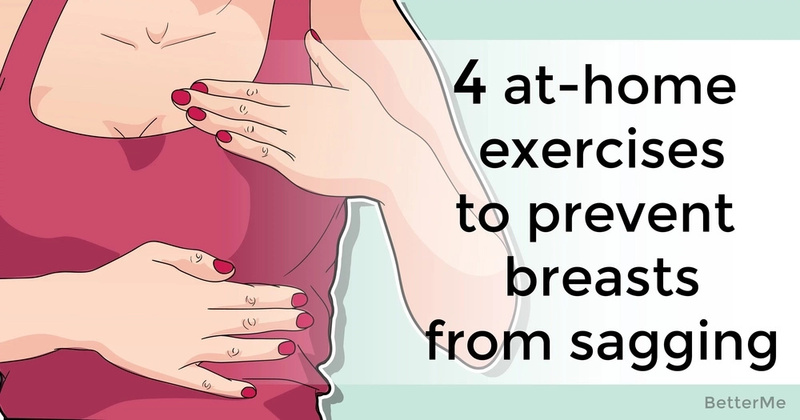 Below, you’ll find a list of 4 at-home exercises to prevent breasts from sagging. Let’s see what they are. We all are familiar with the benefits of yoga. It’s a great treatment from a number of problems. People use it to get rid of excess weight, reduce stress levels, relax, and get a healthy and flexible body. However, many women perform yoga to prevent such a problem as sagging breasts. There are many yoga poses that will help you improve your posture, get rid of excess body fat, and prevent the issue. The best thing will be to join a class in order to do everything properly and get all the benefits. This is one of the most popular exercises among those who want to get strong upper body and beautiful toned arms. However, push-ups and their variations are perfect to prevent sagging breasts. It is a really helpful exercise in this case. It won’t take much time and is rather simple to perform. Everything you should do is to sit straight on the chair and squeeze a ball with your hands. Just remember to keep it on the level of your chest. 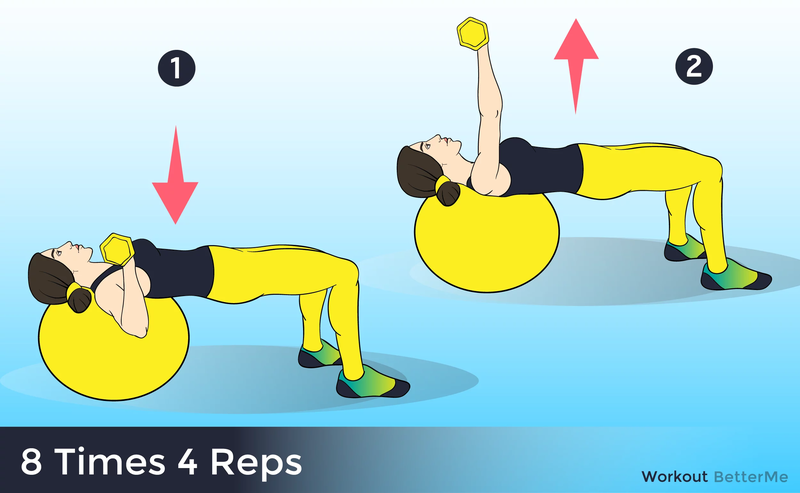 There are some variations of exercises with medicine ball, and all of them are effective. It’s another effective exercise that will prevent this problem and strengthen your upper body. To perform it you should lie down on a bench. Your body should be on the bench, and feet should stand on the floor. Hold the dumbbells near the sides of your chest. Your palms should face forwards. Then you should raise your hands with dumbbells above your chest. The elbows should be placed close to your body. Then slowly lower the weights. 12-15 reps, 2 sets will be enough. So, as you can see, it is not as difficult to prevent such a problem as sagging breasts. Just make a couple of changes in your usual lifestyle, and everything will be OK. Make some effort, and you won’t wait long for the results.